The search for a way to stop aging has been going on for centuries. The obvious most notable example was the alleged discovery of the fountain of youth. But a month doesn’t go by that you don’t see an advertisement for some drug or procedure that will reverse the effects of aging and give you back your youthful vigor as well as the looks you had when you were young. We can only conclude that the desire to avoid the effects of aging is a universal desire. Small wonder that diet supplements to slow, stop or reverse the effects of aging enjoy great success in the marketplace. Of course, as a people, we have always had a weakness for the idea that we can take a pill to make everything better. So when you see a pill on sale in the drug store or advertised on television that says it can make you young again, that is a temptation that is hard to refuse. Obviously, many of these anti-aging, miracle drugs are no more able to make you a youth again than the fountain of youth could do centuries ago. Much of the "hype" of these drugs is the auto-suggestion influence that makes us believe we are looking younger after buying and taking these anti aging drugs because that is what we want to believe. But when we finally determine that there is really no change to our look, or in the way the drugs make us feel inside, we get discouraged because yet another false fountain of youth has let us down. 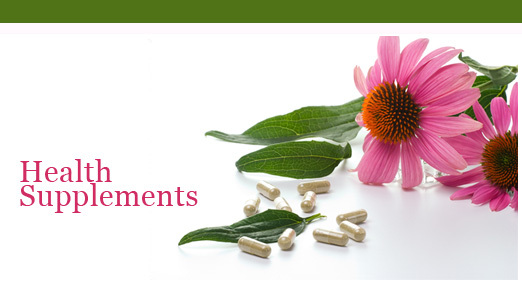 There are some successful anti aging supplements that approach the challenge of slowing aging scientifically. The idea is not to try to keep you looking 25 for the rest of your life but to provide a supplement that gives you the daily vitamins and nutrients that the body naturally begins to lose because of aging. If we can return our bodies to a youth level of healthy vitamin intake that can give us more vitality which is what we associate with youth. But what we are really doing is just achieving better health overall. We could accomplish the same thing with proper diet but that is difficult in the busy world we live in. Healthful living is without a doubt the most potent fountain of youth there is. Of the three primary effects of aging: wrinkles, gray hair and weight gain, two can be effected by more healthful living. Through good nutrition and avoiding excess sun and never smoking, you can retain a healthy skin tone much later in life than if you abuse your skin when you are young. You can also fight the effects of weight gain through a regimen of healthy eating and exercise. The diet supplements that help you keep a good balance of vitamins certainly won't hurt you and can help you stay active and vital. But the best recipe for feeling young is to stay active, exercise and live right. That will keep you feeling and acting young for many decades to come. 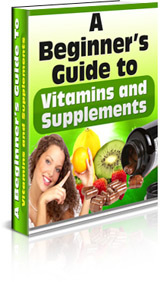 I have compiled a complete guide to assist you in achieving your Health improvement goals through Vitamins and Supplements. © copyright 2008 choozhealth.com. All rights reserved.